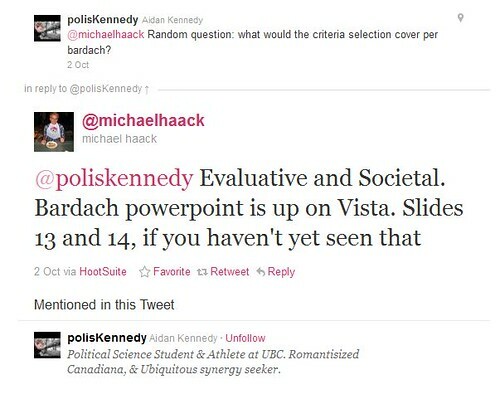 While my research blog was primarily designed to write my thoughts about policy issues that are of interest to me (and discuss my current research agenda), I’ve also found that my students needed a lot more guidance on how they can use Twitter. I encourage (read: quasi-force) my undergraduate (3rd, 4th year for the most part) Political Science students to use social media, and I figured I should write a guide on how to use Twitter in higher education. Primarily, because I do believe in the power of social media to advance academic pursuits. 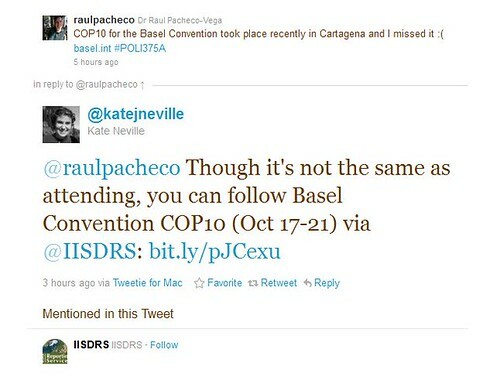 And of course, you can follow me on Twitter here (@raulpacheco). a) As a source of information. Depending on who you follow on Twitter, you will see that there are many people who share informational tidbits that can be of (a) general interest or (b) specific use to your academic pursuits. I follow many academic colleagues, both from UBC and outside, and I spend some time online reading news tidbits that are of general interest to me. I also have set up a monitoring board for anything that is related to issues of Canadian post-secondary education (#cndpse) and politics in British Columbia (#bcpoli). Other useful hashtags include #UBC of course, anything related to the University of British Columbia, and #canpoli or #cdnpoli(Canadian politics). b) As a means of communication with me. Throughout the years I’ve been using Twitter, I have found that my participation on Twitter helps my students talk to me fast, either privately (via Direct Message) or publicly. The advantage of having public conversations with me is that another student follows me and other students/classmates, they can easily track my conversation and either contribute or ask me a question. 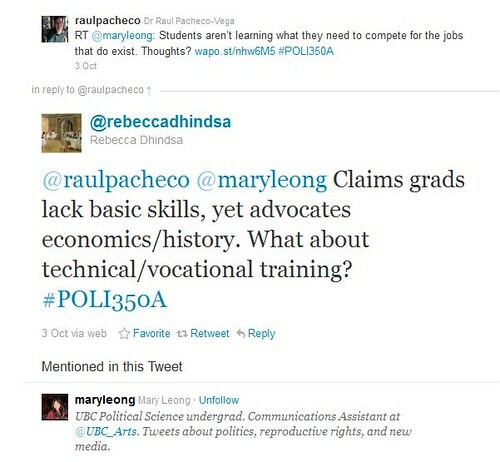 You can see the kind of conversations I have with my students (and colleagues) by searching @raulpacheco. c) As a virtual, instantaneous sounding board. This past week, I assigned a 72 hour policy analysis so that my Public Policy students could see the realities of being a policy analyst and learned how to do quick, on-the-spot policy research. Several of my students had conversations amongst themselves that enabled them to learn from each other, bounce ideas off-of-each-other and provide moral support. I was able to connect with the British Columbia Minister of Advanced Education (The Hon. 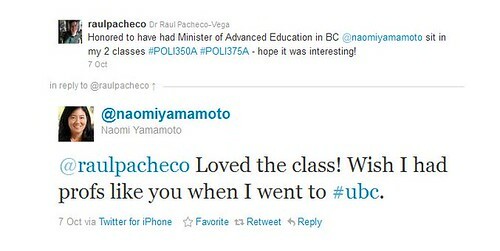 Naomi Yamamoto) through Twiter, and she attended two of my lectures. 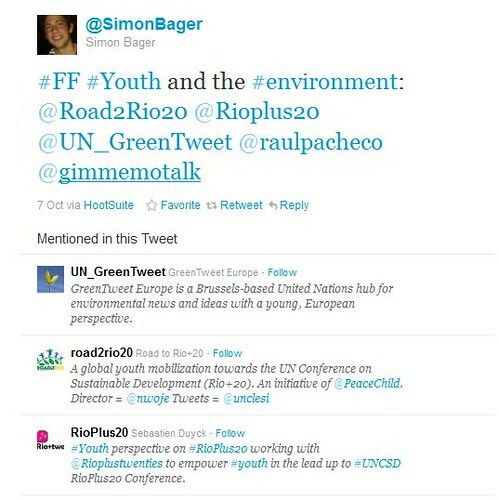 I would have not been able to connect with Minister Yamamoto in the same way were it not for Twitter. These are just four basic points. One more innovative element that I have found interesting is the use of location-based applications such as Foursquare, cross-posted to Twitter. I saw a couple of my students use it indicating that they were sitting at the library and that they were available to chat or study together. This would prove useful particularly for group projects (both my courses this term have these) and for sharing notes and comparing ideas.